Just Compassion is a coalition of religious, service, civic and business organizations that have joined together to network and share resources for creating a safe and hospitable environment and a community centered response to the needs of those without homes and those living in poverty in Tigard, Tualatin and Sherwood. We run a Day Center for homeless adults on Thursdays at the Tigard Foursquare Church where a light lunch is served. We have a Showers and Laundry ministry on the first Sunday of the month at Unity Laundry in Tigard from 1-3pm. Our coalition comes together at Davidson's Restaurant the first Thursday of the month from 7:30-9am. We use volunteers to help at our Day Center with check-in, kitchen, area monitor, food prep, set up and clean up. 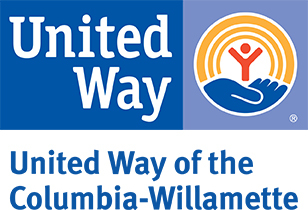 We use volunteers at Showers and Laundry to make sandwiches, pick up food at Trader Joes and sort into food boxes, shuttle people to showers at Tigard United Methodist Church and assist with laundry with coinage and soap and overseeing laundry completion.